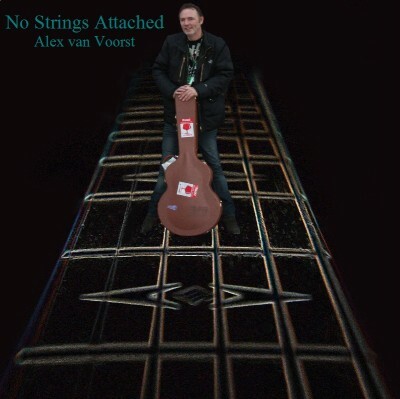 The new CD of Alex van Voorst is a fact! Proudly he presents “No Strings Attached”. The release of the cd took place in a sold out theatre in The Hague. This CD is a tribute to the pop music of the ’60 and ’70. All arrangements are fully instrumental and acoustic. There are two bonus tracks on it as well! 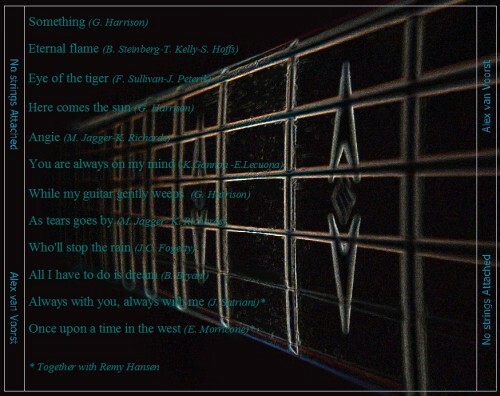 In 2010 Alex toured in China with Remy Hansen. He invited Remy to play 2 beautiful tracks on this CD. The masterpiece of Ennio Morricone “Once Upon A Time In The West” and a ballad of Joey Satriani “Always With you, Always With Me”.